A year and a half ago I posted a blog called I Married a Jersey Redneck about Stan, his upbringing and how vastly different it was from mine. 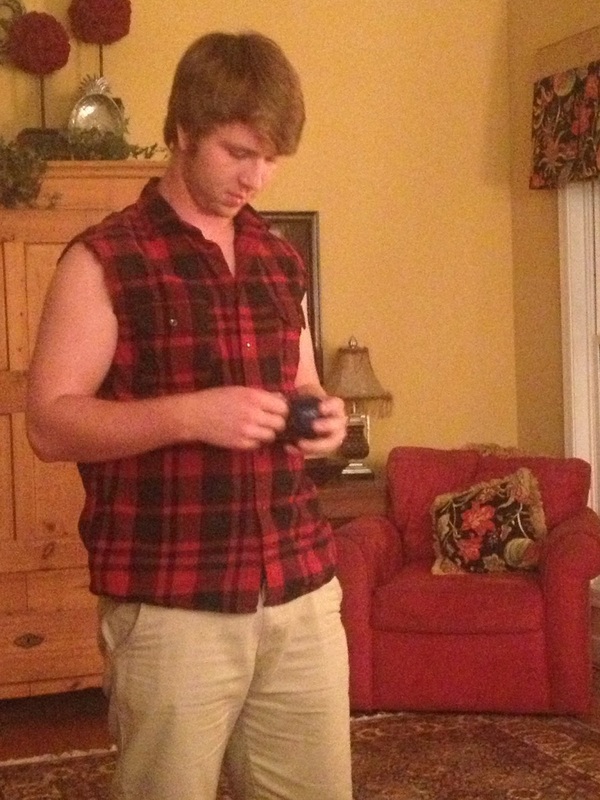 Well, last night I just got hit full force by the future and the upbringing of one of a new generation of Redneck….Zach. He is now a Redneck himself, through and through. And he’s damn proud of it. I don’t fault him, although I am a little surprised by his sudden interest in hunting. He was the kid who bawled inconsolably when an orphaned, baby bird died in his hands. This was a kiddo who cried and cried and cried when the baby chipmunks we rescued from our cat died one after the other. I didn’t think killing things would ever be on his radar and now he is talking about going duck hunting with my Jersey Redneck. So I have to say that although he comes by the redneck thing honestly, the hunting and killing of animals is far outside of what I expected from Zach. We moved to Louisville, Kentucky when Zach was three and a half. Before that all he knew was the German country side and a German kindergarten. When we first got to Louisville and Zach started preschool his word pronunciations were very European. He said “ele-phaaaaant” with the emphasis on the “phaannnt.” And he called me “ma-MA,” emphasizing the MA at the end (he still sometimes slips and calls me ma-MA and I love it.) Soon after Zach started preschool his pronunciations changed. One day as we were going for drive Zach said, “Da-yaddy, what’s tha-yat?” It was not a pretty pronunciation. 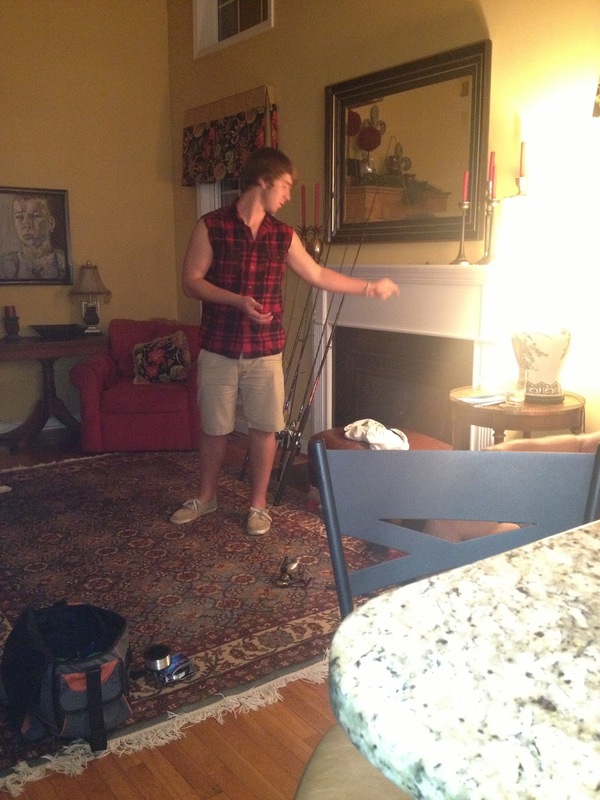 It was completely and totally redneck. I worked hard to keep him, and his brother and sister, from slipping too far into the realm of sounding like they lived in the deep, deep South. I know Louisville is not deep south but there are some who can make it sound like it’s deep in the heart of Dixie. We moved here when the kids were 10, seven and five. They have each grabbed on to Virginia and claimed it as home. Zach now identifies very clearly with being a Southerner. And I smile. I love that he’s claimed Virginia as his own, for the good, the bad and the ugly. He knows the ugly side. And he stays away from it. Recently, the Richmond Times-Dispatch published an article titled Confederate flag will fly along I-95. Zach was mortified that anyone would think it was a good idea to fly that flag along the Interstate. And he was embarrassed for those who think it’s a good idea. So he may be a redneck. But he’s a good redneck just like his da-yaddy. I’m OK with that, truly. For the time being, I now have a Jersey Redneck and a Southern Redneck in my life. I’m not sure whether Lucas will go down the redneck road but it looks like Claire might be heading that way. For her first car, she’d love to have a pick up truck and one of her favorite songs is “Boys ‘Round Here” by Blake Shelton. I may live with a bunch of Rednecks and wanna-be Rednecks, but they all make me smile with their Redneck ways. Previous Who Am I to Judge? Love it! My oldest boys turned three and five when we moved down here from Boston (though the hubs and I are from Northern Virginia). What funny North/South accents they had for a year! Hey, as far as your clan goes, we're in the capital of the South, so when in Rome… also glad they're being the “best” Virginians they can be. Hi Jennifer,If I'm not mistaken, you were at the Liberty Christian book fair last week at the table with Julie? The reason for my confusion is that you are listed as Victoria Trifu on the program. Anyway, just surfing the web and decided to stop by.This is a cute and loving story about your redneck family. 🙂 And you summed it up perfectly with the entertaining Blake Shelton.I didn't stay at the fair long; I ran out when the storm was announced. 🙂 It was fun and interesting to be there, though – seeing the passion the authors had and the promotion process. Best wishes and much success to you! Awesome way to phrase it…”the best Virginians they can be”!! Yes, I was at the book festival!! The event organizer knew Julie and I were going to be sharing a table but she didn't publicize it. Glad you liked the story about my totally redneck family.I bugged out too, as soon as the storm was announced. Thanks for you good wishes! !